Posted on September 11, 2017 at 3:02 am. The Philippines Amusement and Gaming Corporation (PAGCOR) is finally going to become just a regulatory body. After months of discussion and speculation, PAGCOR has announced it will be selling off its owned and operated casinos in 2018. According to the Manila Times, the Philippines gaming regulator will start accepting bids on all 46 of its casinos by the end of the year. Finance Secretary Carlos Dominguez III spoke to reporters over the weekend, revealing that the 17 casinos, which are directly controlled by PAGCOR, will be the first to be privatised. “We are working on the PAGCOR deal, the first item is those casinos being operated directly by PAGOR,” Mr Dominguez said at the Department of Finance headquarters last week. Mr Dominguez said it was the right time to sell due to increased competition from privately owned operators in the country. “I think there is no way they can compete if we don’t privatise. They might actually lose their customers,” he said. Mr Dominguez added that they needed to determine how much revenue was coming from winnings, and how much was coming from the government fees. 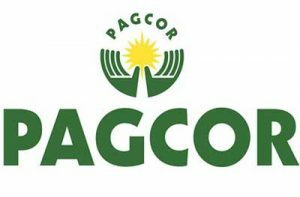 PAGCOR revealed it made a profit in the first half of 2017 of Ph3.06 billion after taxes and fees, generating a 24.8 percent year-on-year increase in revenue. The results were unexpected given the second quarter of 2017 caused one of the PAGCOR casinos to cease operations for almost a month. PAGCOR shut down Resorts World Manila casino after a lone gunman set fire to gaming tables, causing the deaths of 37 people. The regulator recorded a loss of an estimated Ph400 million in revenue as a result of RWM’s three-week suspension. It pushed to reopen quickly, insisting it had upgraded safety measures and added increased surveillance. Under Philippines law, PAGCOR has to give at least half of its net profit to the Bureau of Treasury to go towards community projects. PAGCOR paid P7.37 billion in gaming taxes in just the first quarter of the year. Although sales are to commence in the coming months, Mr Dominguez said it would presumably be many years before 46 of PAGCOR’s casinos are all sold. Selling off the casinos to become solely a regulator has been on the agenda for quite some time, as potential international investors and lawmakers in the country have suggested that PAGCOR’s dual role is a conflict of interest. Last month, the government introduced legislation which would reduce PAGCOR to a regulatory body, changing its name to Philippine Amusement and Gaming Authority (PAGA). It also gives PAGA the responsibilities which the Philippine Charity Sweepstakes Office (PCSO), the Games and Amusement Board (GAB), the Cagayan Economic Zone Authority (CEZA), the Aurora Pacific Economic Zone and Freeport (Apeco), and other special economic zones all currently hold.